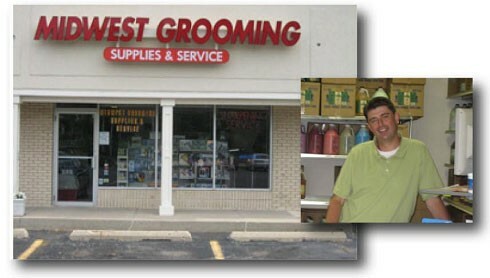 Midwest Grooming Supplies & Service offers the industry's finest products for animal grooming. Our products include clippers, blades, shears, grooming tables, dryers, shampoo and shampoo systems, tubs and grooming wear. We provide grooming supply products to the public, wholesale grooming supply products and discount grooming supply products worldwide. We offer a great RETURN POLICY to our customers! We gladly offer a seven day "no question" return policy for the price of the item purchased, providing the item is returned to us in saleable condition. Shipping expenses are the responsibility of the purchaser and will not be refunded. SHIPPING POLICY: If an item is in stock, then shipping will be no longer than 7-10 days.